The glimpses one has now and then, in passing through the streets, and by the ever-open doors of the Creoles' residences, of brilliant flowers and luxuriantly blooming exotics, are delightfully refreshing, and almost sufficient to tempt one to a "petit larceny." 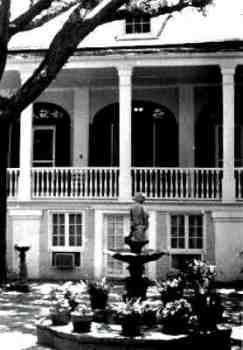 You may know the existence of a Creole here, even if he resides in a Yankee building, by his mosaic-paved court-yard, filled with vases of flowers. Interestingly, at just about the time that Ingraham was penning these words, the "Yankees" of the Crescent City were developing a new community upriver from the Creoles and their courtyards. This new Garden District soon rivalled the old quarter as the center for floral display in New Orleans. By no means, though, has the city's floral abundance been confined to the private patios, courtyards and gardens of its private citizens. New Orleans has a long tradition of decorating its parks, streets, squares and neutral grounds with trees, plants, and shrubs of a considerable variety. 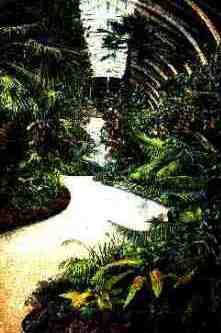 The images in the May Gallery were chosen to celebrate some of our horticultural achievements of the past. It's just too bad that most of our photographs are in black and white! 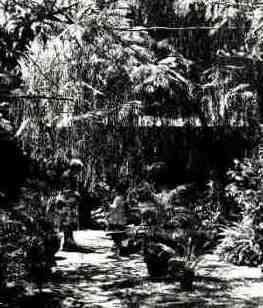 The patio garden of Mr. and Mrs. Syd Levy at 923 Dumaine St. in the New Orleans French Quarter, ca. 1950. This photograph, from the Robert Tallant Collection, captures a special moment in one of the many cool private retreats in the Vieux Carre. Although the courtyard behind the Beauregard-Keyes House began its existence as a private garden for the resident families, it now affords a refreshing bit of shade to those visiting the museum now housed at the 1113 Chartres St. location. This 1973 photo is from the Sister Olivia Wassmer Collection. An extraordinary example of a private garden now open to the public is Longue Vue. Originally the home of Edgar and Edith Stern, Longue Vue is now operated by a foundation established by Mrs. Stern to maintain the house and gardens for the public to enjoy. 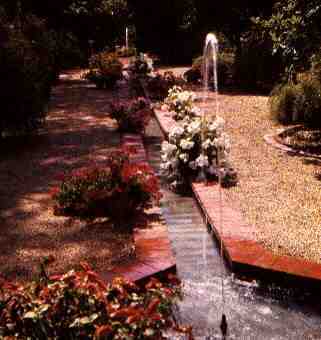 This view of the Canal Garden is from a 1988 booklet published by Longue Vue. Even modest efforts by private citizens help to beautify the Crescent City. In this ca. 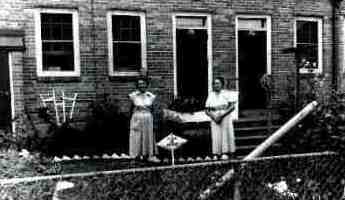 1950 photograph two residents of the St. Thomas housing development pose in their "Yards of Merit." City Park in New Orleans is a vast collection of trees, plants, and shrubs, including some of the grandest specimens of Live Oak trees in the South. A horticultural highlight of the park is the Rose Garden, developed in the 1930s by the WPA. 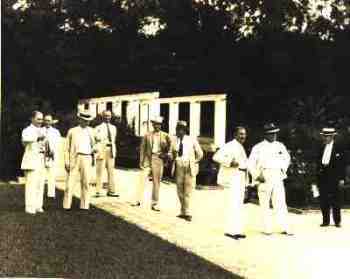 This 1936 photograph, from our WPA Collection, shows a group of Association of Commerce members touring the newly opened facility. 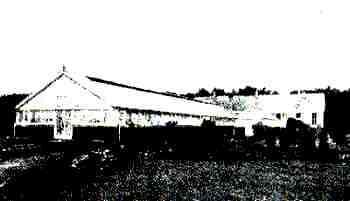 The City Park greenhouse as it appeared in the 1925 Annual Report of the Board of Commissioners of the New Orleans City Park Improvement Association. The 1884 World's Industrial and Cotton Centennial Exposition, our first World's Fair, took place in what is now Audubon Park. One of the grand Cotton Centennial buildings was Horticultural Hall, in which was displayed "...all the various kinds of tropical shrubbery and flowers, foliage and plants of the choicest varieties" for all of the fair's visitors to enjoy. 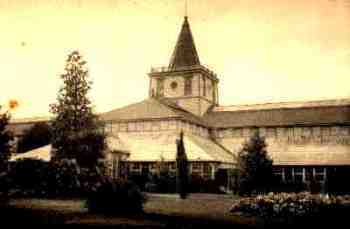 Horticultural Hall remained in place after the Cotton Centennial closed in 1885 and was a major attraction in Audubon Park until its destruction by the great 1915 hurricane. This view of the Hall appeared in the 1903 Yearbook of Audubon Park. An interior view of Horticultural Hall from a post card dated March 5, 1908. Go to Part 2 of the May Images of the Month Gallery.